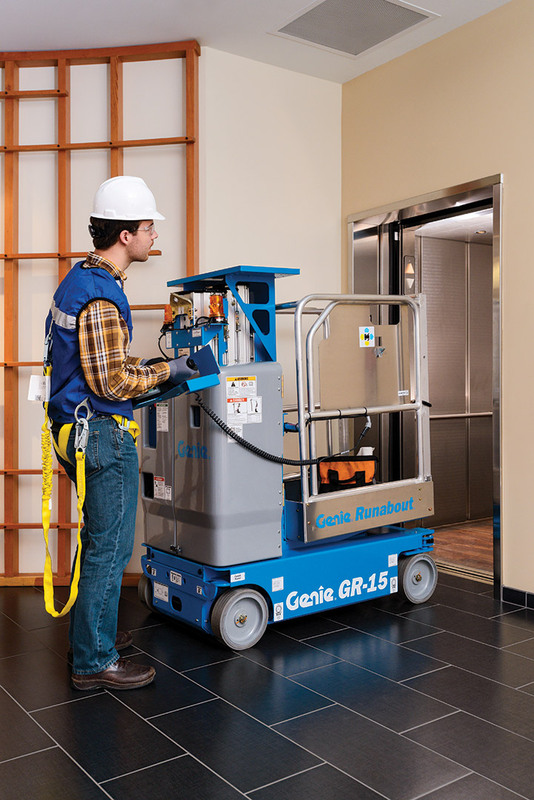 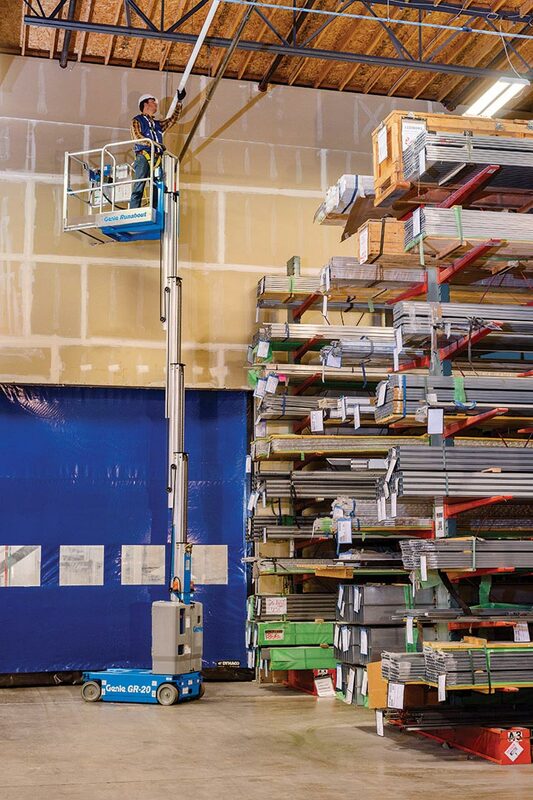 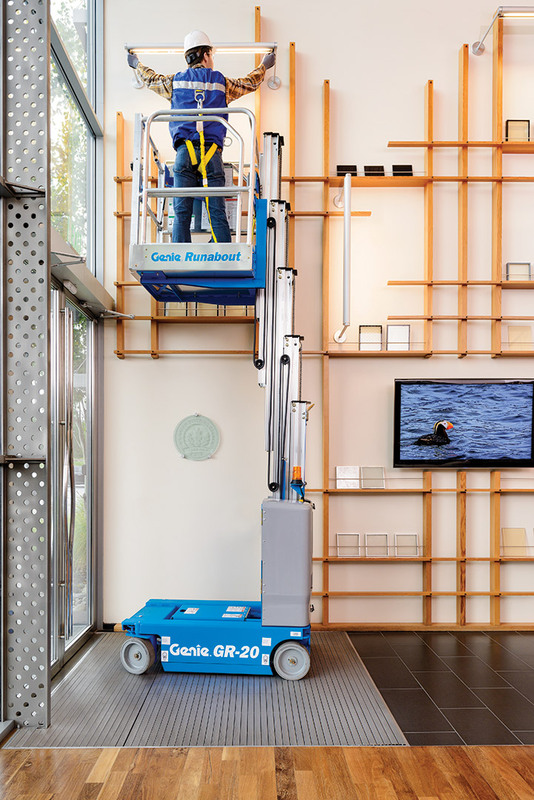 Genie® Runabout® GR™-20 lifts are compact, low-weight machines that increase productivity on the job thanks to their ability to fit through doorways and in most passenger elevators. 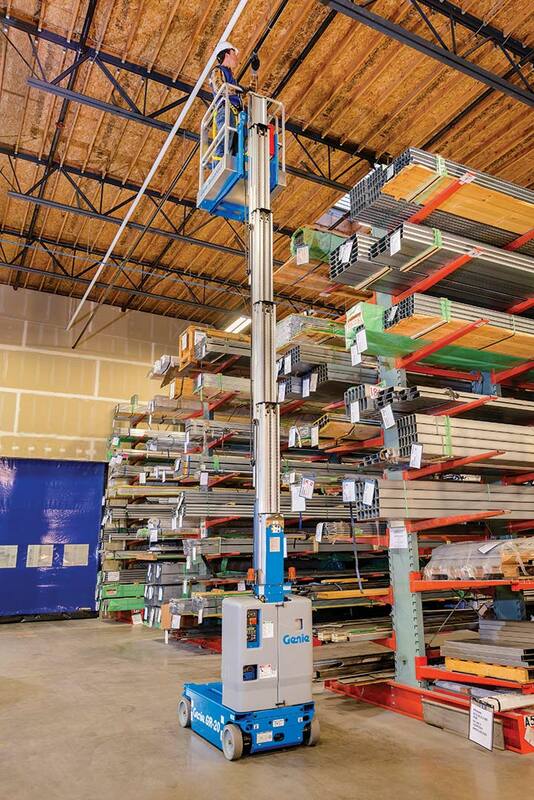 And, it can be driven through doorways with operator on board. 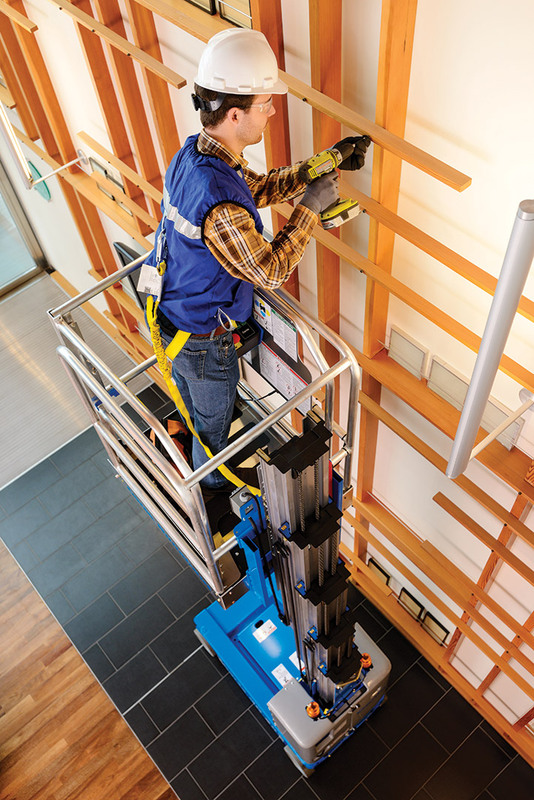 A zero inside turning radius and full elevation drive feature also contribute to these models’ increased productivity.